DIY is bigger than ever. Creating your own DIY Christmas gifts is also a big trend. I don’t know why that is the case, but my hypothesis is that it is related to the natural, organic, slow food movement. People get a satisfaction knowing the root of the products they are using. Of course there’s tremendous satisfaction producing something by your own bare hands. Needless to say, DIY Christmas gifts are unique. There are so many DIY tutorials out there. A lot of them are upcycling used materials. And some of them are kid projects. As for DIY Christmas gifts, I feel that the result needs to look professional, something that people would pay money to buy. The look doesn’t matter so much if it’s just kids creating something for grandma and grandpa. But if you are creating something for your neighbors and friends, and if you really want them to use the items, then the gifts better live up to a certain standard. Another criteria is that the DIY projects need to require minimum skills and equipment. If you are a knitter or a sewing expert, you probably have already churned out amazing Christmas gift creations started in June. For the rest of us, it’s hard to learn how to sew or do metal work when Christmas is less than 4 weeks away. Also, it doesn’t make sense for us to spend a fortune on sewing machine or printing equipment if we don’t have them. With that said, I have chosen some tutorials that fit the bill. 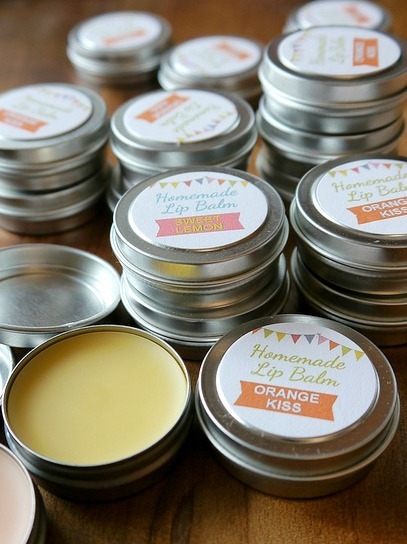 With minimal equipment and effort, you can produce these beautiful lip balm. In fact, if you didn’t put “homemade” on the tin, the recipient would probably not know the difference. I would probably word it as “Artisan Lip Balm.” Pro tip: cut out those labels using a paper punch for the most professional result. You can get some simple drinking glasses from the thrift store or from the craft store. With three more items–masking tapes, paint brush and etching cream, you are in business to make these wonderful drinking glasses. Think about making a set of six drinking glasses with the recipient’s name on it. There are 21 different terrarium projects you can follow on this guide. My favorite ones are this cake stand version and the lightbulb version. With a porcelain marker and a blank cup, you can create amazing personalized coffee cup and saucer. The site is in German; use Google Translate to translate it. Aren’t these leather business card cases beautiful? You could even enlarge the template and create one for her phone or tablet. This bracelet is modeled after the Giles & Brother bracelet, which costs $185. To me, this DIY version look exactly the same. I love the heavy metal look; it’s perfect for that rocker friend of yours. If you make it longer, it can also be a necklace. 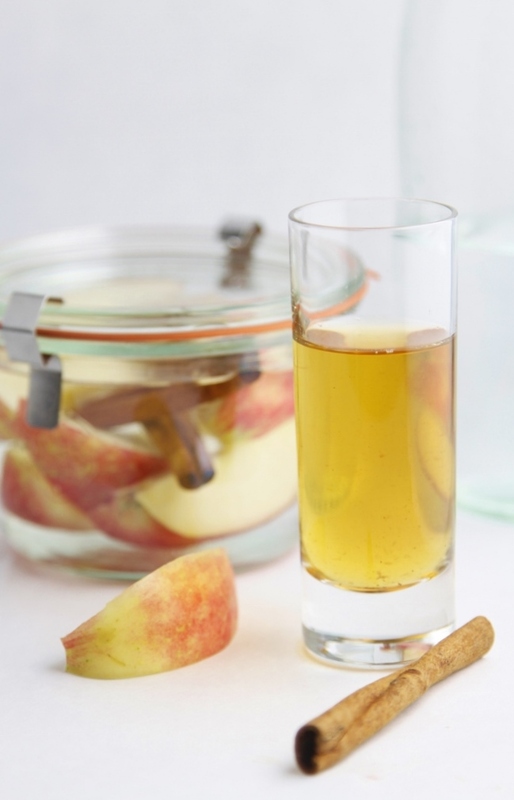 If your friend loves vodka, then this DIY Christmas gift will fit the bill. Literally you throw everything in a pretty jar and wait. That’s it. If you feel guilty about not doing more, then you can create a pretty label to go with it. This is another simple one. You just roll the beeswax sheet with the wick in the center. That’s it! Everyone can do this. The result looks great. Add a pretty ribbon like the picture, and put the candles in an adorable box lined with tissue paper. You are done! If your friend favors the shabby chic look, then this teacup light is for her. 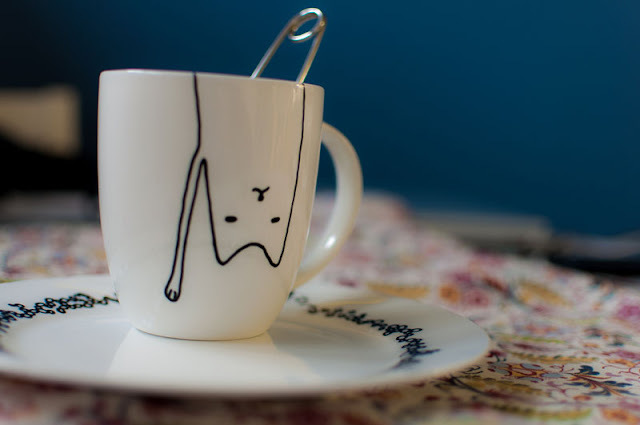 You can get some adorable vintage tea cups from a thrift store. For a more organic look, you can use Japanese tea cups. Essentially you could use any cup or bowl to achieve the style you are after. This particular version of map coasters is made with laminated floor and, of course, a map on top. But you can also use other gorgeous wrapping paper. I’ve also seen another version that uses generic cork coasters as bases. 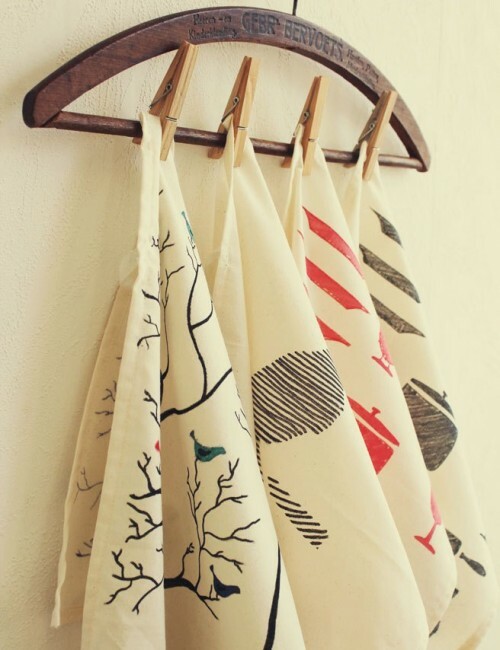 These gorgeous vintage-looking towels take no more than just unbleached cotton, pencil, paper, fabric marker and an iron to make. If you have some drawing talent, you can even draw free-hand. If not, you can always use some template to achieve great results. Comments? What do you think about these DIY Christmas gifts? Tell us your experience? Do share!